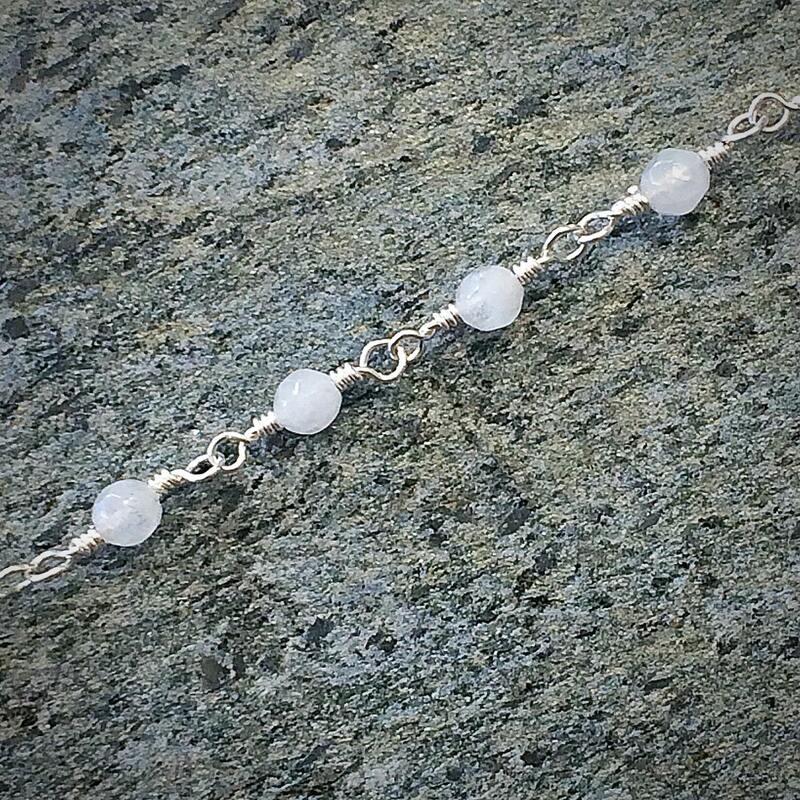 This delicate beaded bracelet features 4mm rainbow moonstone beads. 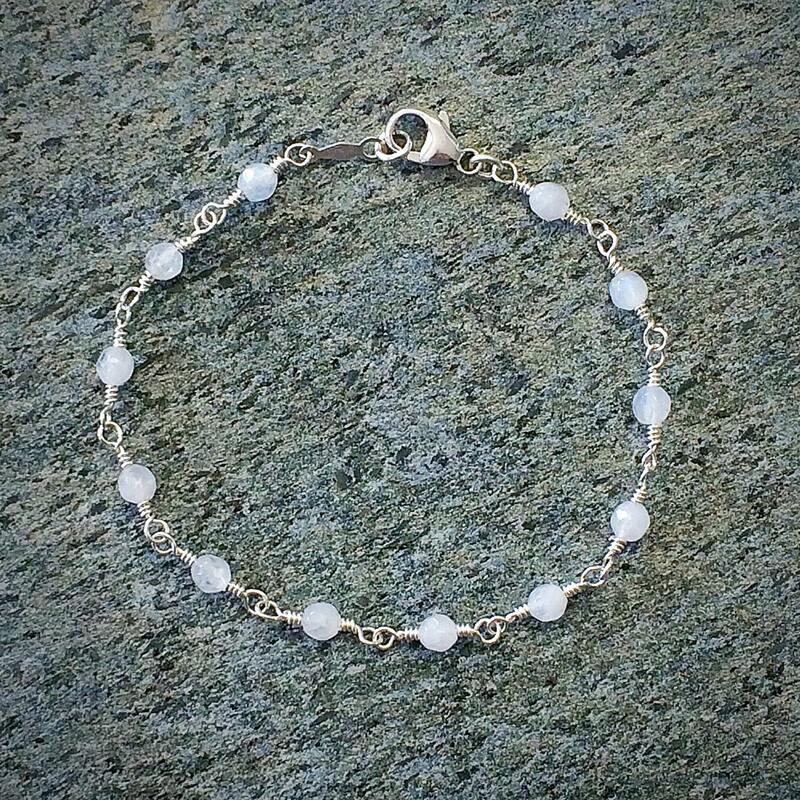 Each bead is handwrapped with 24ga sterling silver wire. 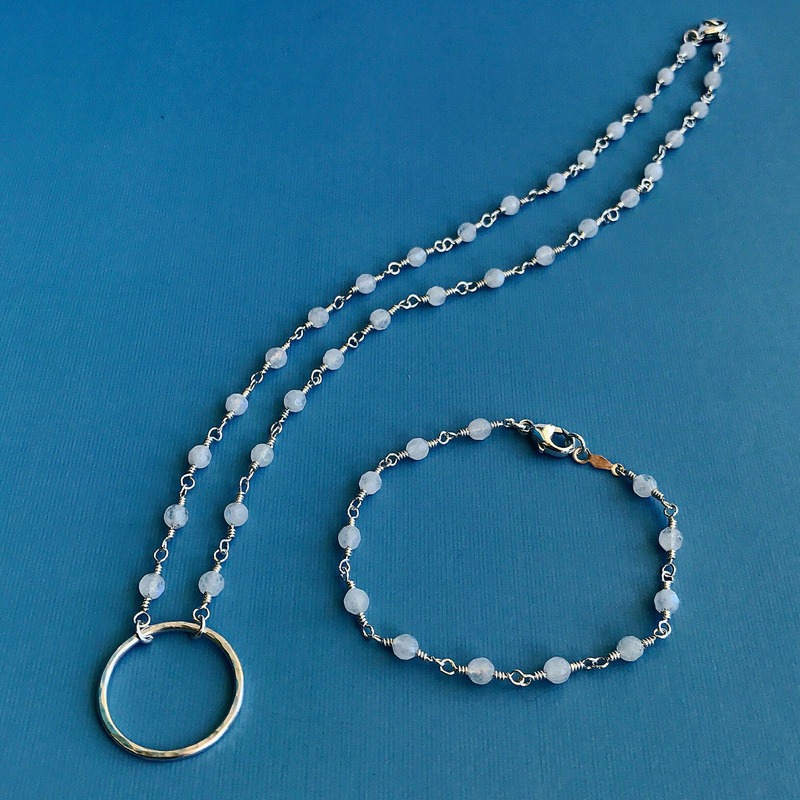 The clasp is a sterling silver lobster claw. 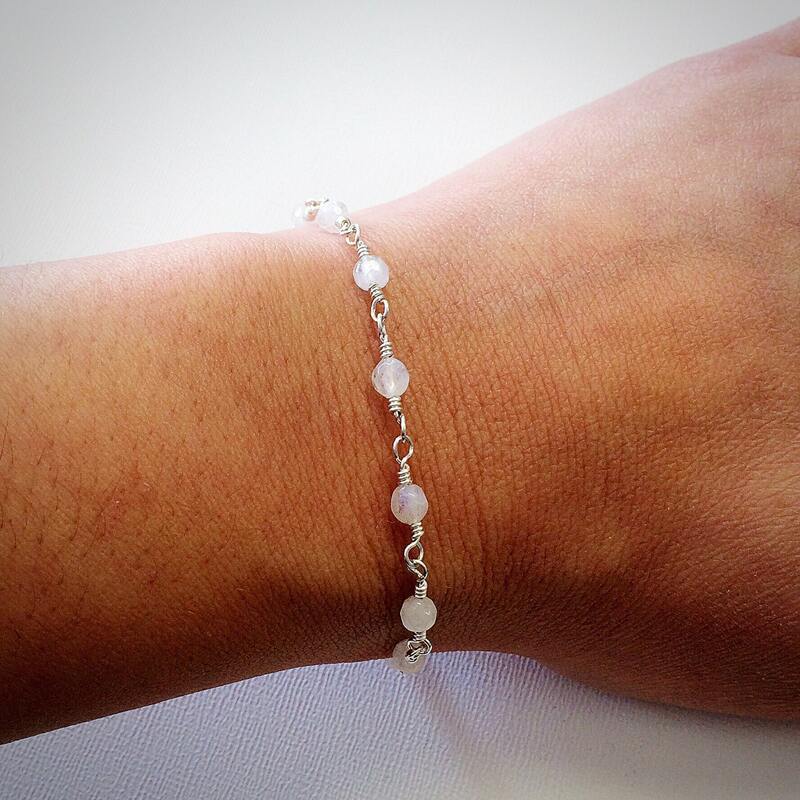 This beautiful bracelet makes a lovely gift when paired with our rainbow moonstone circle pendant necklace.